Netflix announced on Tuesday that it’s obtained the rights to several of Roald Dahl’s classic stories, including Charlie and the Chocolate Factory, The BFG, The Twits, and Matilda. Because like death and taxes, reboots/remakes have become the fabric of our lives (it’s almost as if we keep rebooting the conversation about reboots). In the release announcing the pact, Netflix said it “intends to remain faithful to the quintessential spirit and tone of Dahl,” but notes it plans to build out an imaginative story universe that expands beyond the books. I would like to see how Netflix takes on Charlie and the Chocolate Factory—hopefully, the kids are just as bratty but with Snapchat and vape pens. The BFG is a beautiful tale of friendship and the human heart, but Steven Spielberg’s adaptation looked kind of snoozy, so even there, I’ll reserve judgment. 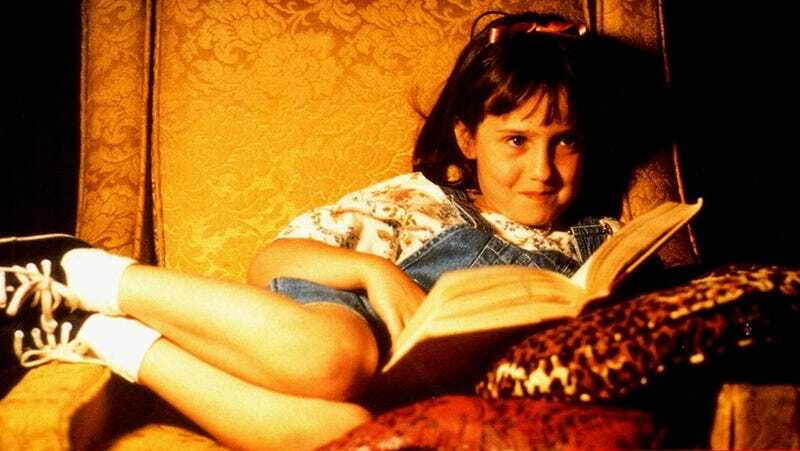 But it’s hard to imagine Netflix recapturing the timeless charm of Matilda. The cereal scene transitioning into her living room dance party backed by “Little Bitty Pretty One” is still a piece of cinematic magic. Good luck to Netflix.